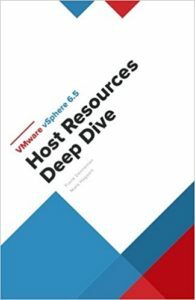 The VMware vSphere 6.5 Host Resources Deep Dive is a guide to building consistent high-performing ESXi hosts. A book that people can’t put down. 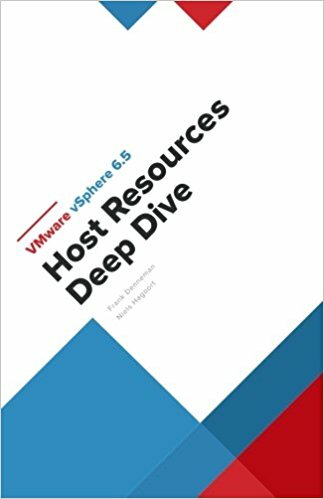 Written for administrators, architects, consultants, aspiring VCDX-es and people eager to learn more about the elements that control the behaviour of CPU, memory, storage and network resources. This book shows that we can fundamentally and materially improve the systems we’re building. We can make the currently running ones consistently faster by deeply understanding and optimising our systems. The reality is that specifics of the infrastructure matter. Details matter. Especially for distributed platforms which abstract resource layers, such as NSX and vSAN. Knowing your systems inside and out is the only way to be sure you’ve properly handled those details. It’s about having a passion for these details. It’s about loving the systems we build. It’s about understanding them end-to-end.